Growing up, North America was the top of my wish list of places to travel to. Beautiful national parks filled with mountains were beyond my wildest imagination while living in all-flat Netherlands, and the idea of seeing ranches with cowboys, metropolitan cities filled with sky scrapers, and the kind of natural beauties so foreign to me, was the dream. I have since explored some of Canada on my year backpacking there after uni, as well as either coast in the US, but not until the fantastic Trek America blogging event last week, where I had the chance to see four of the US' grand national parks in virtual 360 (so realistic), have I been so very excited to explore more of North America again. There are many places I want to go to (or revisit), but in this post I will highlight the top ones I've never been to before (I'll put them in alphabetical order because I just can't choose my favourite!). Despite spending a significantly large part of my year in Canada in British Columbia, and seeing part of the Canadian Rockies (easily my fav place in the whole world! 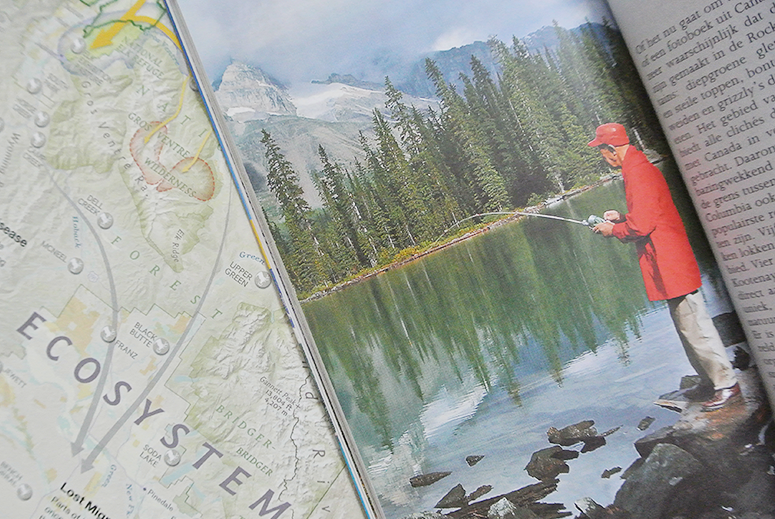 ), I ended up flying to the other side of the country (Nova Scotia) afterwards and never had the change to explore iconic Banff and Jasper, and the crystal clear Lake Louise which graces so many tourist books and postcards. These are the sceneries that made me want to explore Canada in the first place and so I really need to rectify missing out asap! The windy city with the large Bean, what more is there to say? In all seriousness though, I first became aware of Chicago as a kid because of the TV show Due South (which also happened to be the show that sparked my love for Canada) and I loved the look and feel of the city (even if it was fabricated for a fiction show). It has always come across to me like NYC's more relaxed sibling and I can see myself strolling the streets, admiring the skyscrapers before hitting the pier and trying a Chicago-style deep dish pizza, yum. I have to admit, while I loved exploring Canada and there were many places on my to-see wish list, Montréal didn't make the cut until quite recently. I've always been more drawn to areas where English is the main language as my high school French is rustic, but after seeing some of the gorgeous shots of this historic city I'm sold. My Instagram would look so good after a trip to the European inspired old town. 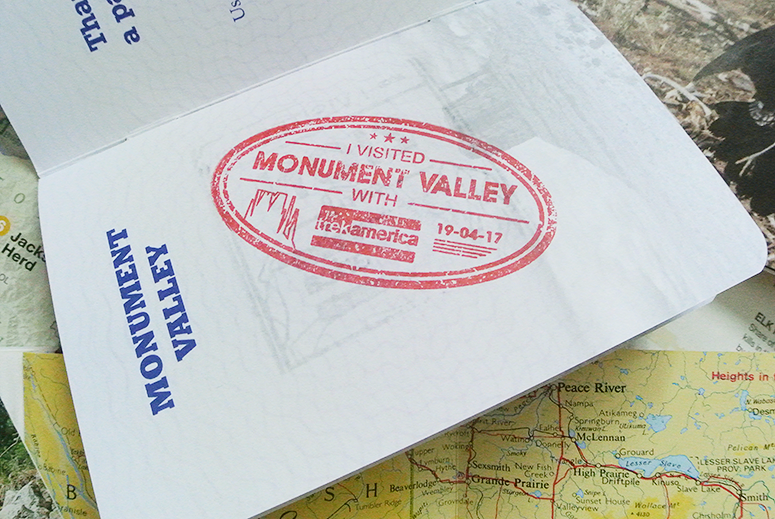 While Monument Valley was actually not on my wish list until last week, having the change to explore rock formations in the red desert has quickly made it to the top of my list thanks to the virtual reality 360 tour at the Trek America event. It was only two minutes of footage but it was so awesome that I'm already desperate to see more. The mountains and desert remind me a little of when I went to the Northern Territory in Australia, but with a dash of the Wild West thrown in. The jazzy atmosphere in New Orleans with French architecture and Creole and Cajun cuisine scenting the air is iconic and one that must be experienced in real life. I've always wanted to visit for the food markets and the chance to see a real life swamp, and after speaking to one of the lovely Trek America ladies I'm now keen to do their Deep South tour which hits up this and more fantastic spots along the Mississippi River, including music meccas Memphis and Nashville. I think it's time to reread my childhood books by Mark Twain in anticipation! I can never not say Orlando without thinking of 'Ooooorlaaaaandooo' from The Book of Mormon. Just me? Okay. I've always been a big Disney geek and over the years have been lucky enough to visit the parks in Paris (many times), Tokyo and Los Angeles, but the big one is still missing from the list. The idea of not one, not two, but FIVE different Disneyland parks together sounds incredible and with the recent addition of The Wizarding World of Harry Potter at Universal Studios down the road this really seems like my perfect place to be. Sadly this is one trip that is massively expensive (the park tickets alone would eat all of my budget), so I'll have to save a few years more for this one, or hope that one day I'll make it big enough as a blogger that I'll be invited along. A girl can dream. The eclectic vibe of San Francisco, not to mention the Golden Gate Bridge, cable cars, steep hills, Alcatraz and and being the home of Full House, looks like the place I can see myself settling if it were in any way possible for me to live so far from my family. I've read quite a few books set in this city and lots of films took place here (from Mrs Doubtfire to The Princess Diaries), and they all made the place looks awesome, so it's one I definitely want to be exploring soon. The food, the shops and the quirky atmosphere also remind me of Brighton, which is my favourite place here in the UK. While this one isn't going to be top of my list for the foreseeable future due to the current political climate, once there is a presidential change (soon, I hope) this will go right back to the top. Yes, I'd love to see the White House, of course, but the biggest reason I've always wanted to go to Washington D.C. is for the Smithsonian Institute, which sounds like a history buff and art lover's heaven. With a multitude of museums stretching the length of the famous National Mall, I can see myself spending days indoors marvelling at the extraordinary collections on display (while trying to imagine the far larger one being stored underground). And while in Washington D.C. I will of course also pop by the Lincoln Memorial, it'd be rude not to. 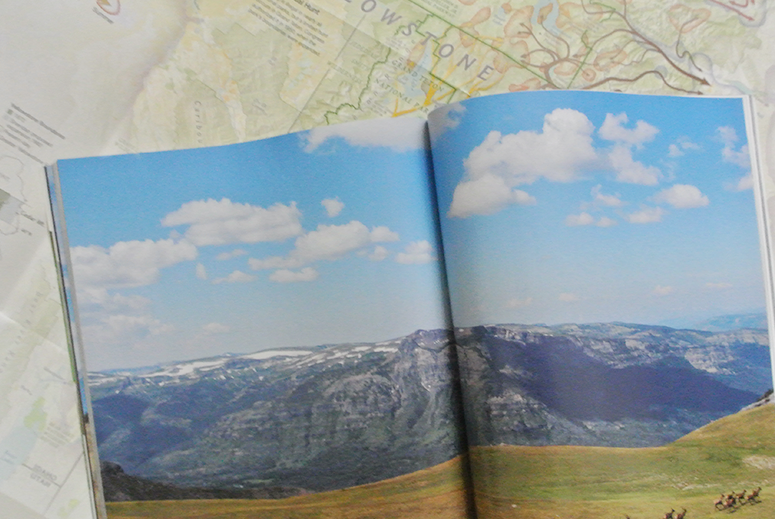 I've always been a big fan of national parks and beautiful scenic locations with mountains, waterfalls, forests, etc. and Yellowstone fits right into that category of natural wonders to me. Not only does it have incredible geological features such as thermal springs and geysers (reminding me of Rotorua in New Zealand which was gorgeous but oh so smelly from all the sulphur bubbling up), but as the US' first national park it's clearly a real gem and it's gotta be one I visit in the near future. 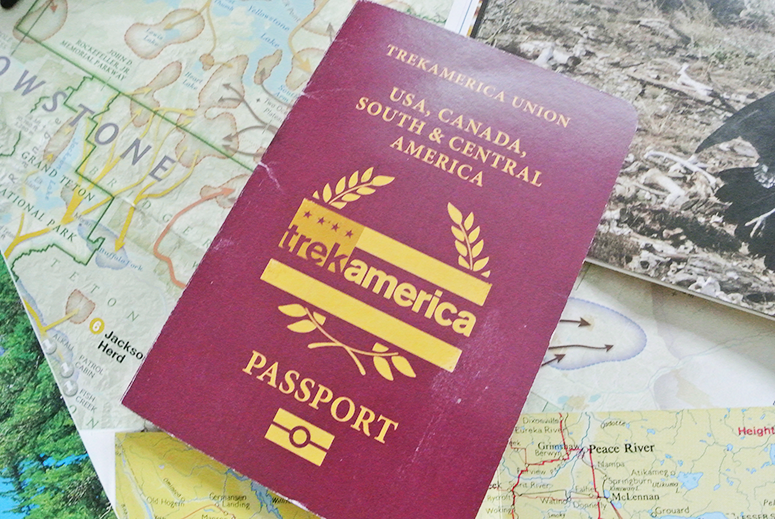 Many thanks to Trek America for the fabulous event and tickling my North America travel bug! Definitely make sure you check out their treks for travel inspo, as I've heard nothing but great things about the tours they organise. I'll be spending the next few months planning out my trips for 2018 and I have a feeling I'll be ticking off several of the above places along the way. What are your favourite destinations in North America? I'd love to read your recommendations so do leave them in the comments below! Firstly, I'm with you on orlandoooooooo, I first watched Book of Mormon the night before flying to Orlando so that was fun! Yellowstone & Monument valley are totally doable road trips from me & kind from each other too so you know what I'm thinking? I'm desperate to visit New Orleans, it's definitely on my list. Have done San Fran & Chicago, not my favourite cities but both pretty unique! Happy travels! Great list! My favorite places here in the US are Yosemite, Mount Rushmore (which is in South Dakota - where I live! :) ), and Los Angeles. I've always wanted to go Chicago as well! Oh gosh, I can't believe I forgot about Mount Rushmore but yeah I'd love to see that :) I've done LA, which was fab! For too love of French, I would choose Montreal and would like to spend longer there!.. Excellent read! Great list. You will love love love Chicago. Great city. I've never been to Canada so I too want to visit all your places. I am going to add some places to your American Roadtrip. Black Canyon River Trail (near Vegas) Vermilion Cliffs National Monument, Zion, Glen Canyon National Recreation Area, and Flagstaff. Great blog btw. That is the second Charleston rec in a row – it's going on the lis! Great list. I've done 90% of it as I've never been to DC... :-). My favorites places are Vermilion Cliffs National Monument (CBS, White Pocket, Yellow Rock, Wahweap Hoodoos etc), Glen Canyon National Recreation Area, Blue Canyon & Hope Arch (in Arizona), Natural Bridges NM, Mount Rushmore & Yellowstone NP. Regarding the cities, I love definitively New Orleans and San Francisco !